According to an exclusive over at Variety, we may have our next "Star Wars" villain cast. 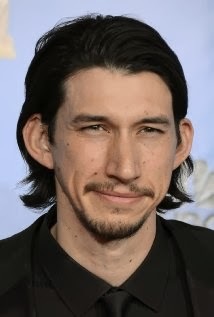 Indiana native, Adam Driver ("Girls") is very close to signing the deal and although exact details on the character are unknown at this point, it's reported that the villain will be similar to Darth Vader. The is big news not only for fans but also for the 30-year-old up-and-comer who's in demand for other projects, including currently filming Warner Bros.’ “Midnight Special." He also attached to Martin Scorsese’s “Silence” starring Andrew Garfield and Liam Neeson. Driver’s name had been rumored during the casting process for the J.J. Abrams-directed film which will continue the where “Return of the Jedi” left off. According to Variety, "Star Wars: Episode VII" is "...scheduled to shoot at London’s Pinewood Studios in April. Additional cast members will likely be announced in the next month." Naturally, the studio is also developing theme park attractions, TV shows and a line of merchandise to go along with the release of the films. What are your thoughts on the (distinct) possibility of Driver being cast as the main villain? Fans of his work will most likely agree that he's a great choice. We'll keep you posted on any future casting news. The film is scheduled for release on December 18, 2015.